Building in Argyle, Flower Mound, Dallas-Fort Worth and all surrounding communities. We also build on ranches within Texas. With over 30 year's experience, Texanna Custom Homes is a company specializing in residential construction and remodeling. We have designed and custom built homes ranging from elaborate lake retreats to luxury ranch houses, and beautiful family homes. We have remodeled everything from bathrooms and kitchens to entire homes, for us, no project is too great or too small and we guarantee each of our clients to receive unequaled dedication and hard work with everything we do. We use only superior products and craftsmanship and our ever evolving knowledge of the most energy efficient and technologically advanced innovations is how we strive to be the best. We are dedicated to our excellent customer satisfaction and client relations; having maintained professional relationships throughout the years and conducting business with many of them a second and third time. We give you our word that with Texanna Custom Homes the planning and building of your home will be as effortless as possible until your vision is ultimately achieved. ARCHITECT: Our architect is available to work with you in the design of your home if you do not already have plans drawn. FINANCIAL: Our mortgage professional is available to assist with any financial needs. INTERIOR DESIGNER: Our interior designer will assist you with the color and design elements of your home. QUALITY CRAFTSMEN: We only use the most qualified craftsmen and the best material in the construction of your home. LOTS: We have lots available or we will build on your property. REMODELING: We remodel kitchens, bathrooms, and existing structures using the same quality craftsmen that we use with all our custom building. RANCHES: We will build a beautiful custom home on your ranch. CUSTOM METAL BUILDINGS: We build Metal buildings with custom interior finish. Texanna Custom Homes provides a 10 year warranty through the Home of Texas Warranty program. Only those Builders who meet acceptable standards regarding technical competence, financial stability and ethical business dealings are able to become Members with HOME. Builders are re-screened annually to ensure their performance remains consistent with the membership standards. The home must be inspected at each major stage of construction by an independent inspection firm approved by the Home of Texas Warranty. A member since 2002. 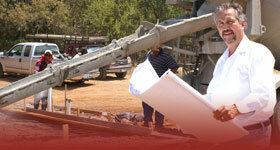 Texanna Custom Homes is an EPA Renovation, Repair, and Painting certified firm. 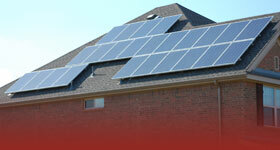 Texanna Custom Homes is an Energy Start Partner. Home Energy Raters conduct onsite testing and inspections to verify that the homes qualify as Energy Star. LUTRON LIGHTING CONTROL INSTITUTE Certificate of Recognition for successfully completing Lutron's Southern Region Residential Specifier Seminar in the application, design, specification and installation of Lighting Controls and Programmable Motorized systems. We have built and are building in the following areas: Aledo, Antelope, Argyle, Bartonville, Burleson, Colleyville, Dallas, Flower Mound, Granbury, Grapevine, Hickory Creek, Highland Village, Keller, Possum Kingdom Lake area, Southlake, Weatherford and all communities between.